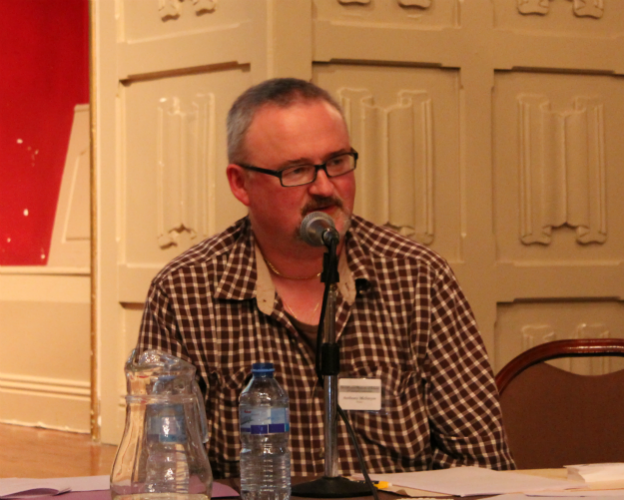 Irish journalist and Belfast Project researcher Ed Moloney, together with Belfast Project researcher and former IRA member Anthony McIntyre, recently announced their intention to bring the case of the Belfast Project to the United States Supreme Court. The pair, appealing a decision by the United States First Circuit Court of Appeal that rejected their right to intervene in the Boston College archive case, have repeatedly emphasized the case’s vast constitutional importance and potentially harmful ramifications on the fragile peace process in Northern Ireland and the enterprise of oral history. “We wish to make it clear that we now intend to apply to the Supreme Court of the United States for a hearing on a case which we believe addresses issues of major constitutional importance for Americans,” Moloney and McIntyre said in a statement. The Belfast Project legal drama began in May 2011, when interviews conducted with former IRA members Dolours Price and Brendan Hughes were subpoenaed by the United States federal government, on behalf of the United Kingdom, as part of an ongoing investigation by the Police Service of Northern Ireland (PSNI) into the death of Jean McConville, an Irish widow and mother of 10 who was murdered in 1972. 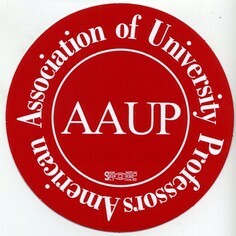 Participants in interviews believed that they had been promised confidentiality until their death, but the subpoenas brought legal pressure on the University to assist the United Kingdom according to a Mutual Legal Assistance Treaty (MLAT), which assures cooperation between the two countries in various legal investigations. Though BC initially filed motions to quash the subpoenas on the Price tapes, they were denied by the courts and did not appeal, citing Price’s participation in an interview with Irish media in which she mentioned the Belfast Project as a violation of the agreement to confidentiality she signed before her interviews commenced. Brendan Hughes died in 2008 and his interviews were used as the subject of a book written by Moloney, Voices from the Grave, and thus the release of his interviews was not in dispute. In a Letter to the Editor published in The Heights on Jan. 18, 2012, Thomas Hachey, professor of history and executive director of Irish programs, wrote, “Interviewees in [the Belfast Project] understood that divulging their participation could potentially compromise the underlying premise that such testimony remain undisclosed until the time of their demise. Moloney and McIntyre criticized BC for failing to continue the fight against the release of Price’s tapes after the court’s initial ruling, and appealed the decision on the Price tapes independently from the University. On July 6, Moloney and McIntyre were denied the right to intervene in the case. On July 8, the two announced their intention to file an appeal for a rehearing of the case en banc, which would require that the case be heard in front of the entire appeals court. On Aug. 20, attorneys Eamonn Dornan and James J. Cotter filed an appeal for a rehearing of the case en banc on behalf of Moloney and McIntyre. In a statement dated Aug. 20, the argument for the rehearing was laid out. In addition, the American Civil Liberties Union (ACLU) of Massachusetts announced their intention to file an amicus brief in support of Moloney and McIntyre’s appeal. Despite their arguments, on Aug. 31 Moloney and McIntyre were denied the right to a rehearing by the First Circuit Court of Appeal, as was the ACLU’s motion. That same day, Moloney and McIntyre announced their intention for the case to be heard in front of the United States Supreme Court. In addition to their appeals of the case in the U.S., Moloney and McIntyre opened a second front in July by filing a review for an injunction of the subpoenas in the Belfast courts. “The Judicial Review asks that the British Home Office’s request of assistance from the United States be quashed, the subpoenas be declared unlawful, a discontinuation of the PSNI’s application for the material, and for an injunction stopping any material from Boston College being received by the PSNI,” the two wrote in a statement dated July 5. However, the case did not gain traction and an injunction on the materials was not filed. While the case of the first set of subpoenas unfolded, BC was involved in a separate case involving a second set of subpoenas. In August 2011, a separate set of subpoenas had been filed, calling for the release of any material in the Belfast Project archives relating to the disappearance of Jean McConville. Again BC filed a motion to quash the subpoenas, arguing that the subpoena was too broad and threatened oral history as a whole. However, on Dec. 27, 2011, BC was ordered to hand over the tapes by Judge William Young. Young reviewed the tapes and selected those that he believed fit the description of the subpoena as relating to McConville’s death. Young eventually held that parts of seven different interviews held by BC were relevant to the investigation and should be handed over to the British authorities, a decision which BC appealed, again arguing that the tapes had limited value and the subpoenas were too broad. Oral arguments for BC’s appeal will begin today, Sept. 6, at the U.S. Court of Appeals in Boston. Today, oral arguments will begin at the United States Court of Appeals in Boston in the latest legal case surrounding the Belfast Project, BC’s oral history project regarding the Troubles in Northern Ireland. This particular case deals with the subpoena of seven interviews with former IRA members, conducted by Belfast Project researchers, that allegedly relate to the investigation of the disappearance and murder of Jean McConville, an Irish woman killed in 1972. In court, BC will argue that the tapes have “limited probative value” in the investigation, and will attempt to keep the tapes out of the hands of British authorities. The Heights fully supports this decision by the University. We continue to stand by these opinions, and support the University’s appeal against the release of the seven subpoenaed tapes. The Troubles in Northern Ireland were a violent period of conflict that resulted in the deaths of thousands of men and women. The release of interviews relating to the Troubles risks reigniting old tensions and shattering the fragile peace in Northern Ireland. In addition, releasing tapes considered confidential by interviewees greatly threatens oral history as a whole, and may inhibit participation in such projects in the future. While The Heights recognizes that the death of Jean McConville is a tragic event, the story of McConville is, unfortunately, not unique during the period. Thousands of people on both sides of the conflict were killed throughout the Troubles, and risking an entire peace process for merely a chance at finding the answer to one case appears irresponsible. After all, it remains unclear whether any of the tapes would provide answers to the questions being asked by McConville’s children, or whether testimony in the tapes could even be entered as evidence in a legal case. In light of the threat that releasing the tapes poses to both Irish peace and oral history, The Heights truly believes that, in this case, the past should remain the past, and the seven Belfast Project interviews being appealed in this case should be kept under lock and key. Denver, CO & NY, NY August 15th The largest Irish American activist groups in the nation including the oldest Irish Catholic organization in America, the Ancient Order of Hibernians, have appealed to President William P. Leahy S. J. to join the educational campaign regarding Britain’s unprecedented effort in America to intimidate journalistic inquiry, academic freedom and to color the historical record of the Anglo-Irish conflict to their liking. The letter [to Leahy] indicated that even as the Court of Appeals litigation continues to search for a decision that might recognize the constitutional freedoms involved and elevate them over the flawed inquiry by the British government, Boston College could make an immeasurable contribution to the political campaign. It could identify these larger issues by appealing to Members of Congress to hold hearings on the merits of this questionable use of a Mutual Legal Assistance Treaty. As you may know, we represent groups who have long had an interest in the conflict in Ireland and now its fledgling peace process. We have closely followed the case of Attorney General Holder’s subpoena of tapes from the Irish archives in the Burns Library. We did originally meet with Mr. Swope regarding litigation and we recognize that while we shared many of the same goals, there were different assessments of the need for appellate litigation. We believe there are serious academic and constitutional issues associated with the British fishing expedition but we also recognized that resort to the courts would be a steep climb. We have used the time provided by the litigation to take a different and, we hope, more successful approach to these and related issues we see raised by the UK action. We initially raised our concerns with Senator Kerry. His letter to Secretary Clinton highlights several of the reasons why he is asking Secretary Clinton to oppose the release of any material to the British. His concerns focused on the misrepresentations of the British government during the adoption of related Extradition, and Mutual Legal Assistance (MLAT) treaties and their commitment to the 1998 Belfast Agreement. In addition, he shares some of our concerns about this apparent abuse of the MLAT in a matter where the totality of the circumstances does not support the assertion of a bona fide criminal investigation. The rubber stamping of the UK request by Attorney General Holder was particularly troubling to our coalition in light of Britain’s failure to adhere to key justice provisions of the 1998 Belfast Agreement which could impede a peace process which America, and no doubt Boston College, supports. This brings us to the point of this letter. In acceding to the demands of the subpoena, Boston College had many factors to consider beyond academic freedom and the integrity of historical research. Not the least of those may have been legal costs. But there is another option. You can speak truth to power by giving voice to those concerns and ours if you wish. A bi-partisan coalition of twenty Members of Congress to date have joined along with Senator Kerry to write both Attorney General Holder and Secretary Clinton in opposition to the subpoenas and to the faulty and uncritical manner in which they were implemented in the U. S.
Boston College has the ability and credibility to reach out to Members of Congress and to the Jesuit network of universities to raise the issues of academic freedom which the court decisions have thus far avoided in any substantial manner. We would be grateful for an opportunity to talk with College officials about the merits of raising these concerns in the political and academic arenas. We have several Jesuit college law school graduates amongst our volunteer legal team so pleased be assured we want to do what is right. Thank you for whatever consideration you may give this invitation. If you have any questions or are in need of any material regarding our points of advocacy, please do not hesitate to contact us. FORMER Tyrone hunger striker and IRA man Tommy McKearney has accused academics at Boston College of a breach of trust regarding taped interviews they have been ordered to hand over to the authorities. Speaking to the Tyrone Herald McKearney was also scathing of the decision to convict Dungannon man Gerry McGeough for the attempted murder of part-time UDR man Sammy Brush from Ballygawley 31 years ago in 1981. McGeough was sentenced to 20 years in jail and is expected to be released in January 2013, having served two years under the terms of the Good Friday Agreement. His comments come after the US appeal court ruled that an interview with the former Old Bailey bomber Dolores Price should be handed to police investigating the murder of Jean McConville. Mrs McConville (37), a widow and mother of ten, was abducted by members of the IRA in Belfast and killed as an informer. Her body wasn’t found until 2003. 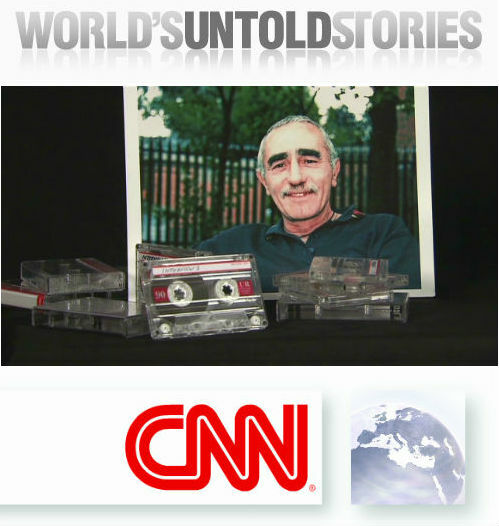 The Boston project involved up to 30 interviews with former paramilitary activists conducted on the basis of assurances from journalists Ed Maloney and former IRA prisoner Anthony McIntyre that none of the recorded material would be made public during the lifetimes of the interviewees. Mr McKearney is a close friend of Anthony McIntyre having been in prison together and worked with him in publishing left wing magazine ‘Forthright’ in 2000. The former blanket man revealed that he has refused interviews with academics because of the actions of the Boston researchers. 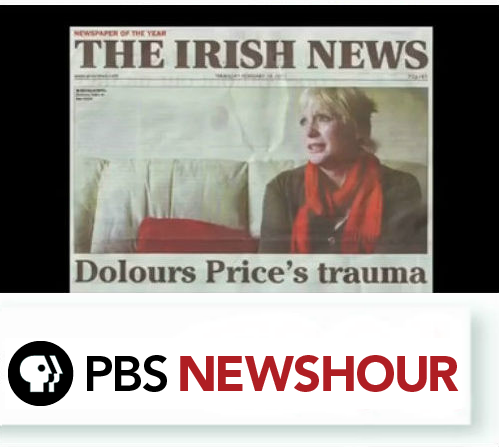 Mr McKearney also doubts that remarks attributed to Dolores Price would “get through the doors of a courtroom” because of her highly publicised mental health issues while IRA man [Brendan] Hughes, who also spoke on tape, is deceased and could not be cross-examined in a witness box. He is also dubious of revisiting unsolved investigations from the ‘Troubles’ and that includes the murder inquiry into Bloody Sunday when 14 people were shot dead by British Army in Derry in 1970. A WRITER and a former IRA prisoner have urged Boston College to resist attempts to force the college to disclose information provided to them by former republican and loyalist paramilitaries. Boston College has been subpoenaed by the US attorney general’s office to release information that was provided in confidence to the college in an oral history project about the conflict in Northern Ireland. 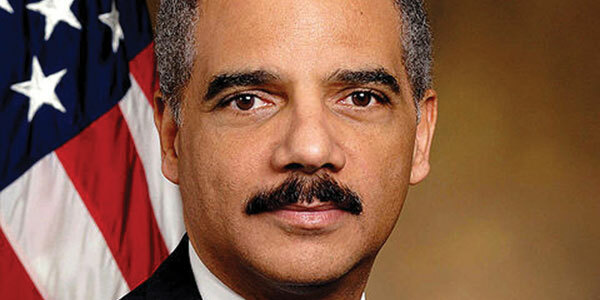 The attorney general is acting at the behest of the authorities in the UK. PSNI detectives are hoping that this action will compel the college to release interviews provided by the late Brendan “the Dark” Hughes and Dolours Price, both of whom were former convicted senior IRA figures. Detectives are seeking information that would relate to allegations and suggestions by Mr Hughes and Ms Price that Sinn Féin president Gerry Adams ran an IRA unit that was involved in several abductions and disappearances, including the disappearance of murder victim Jean McConville. Mr Adams has repeatedly denied these allegations. Author Ed Moloney used interviews Mr Hughes and the late David Ervine gave to the college as material for his recent book Voices From the Grave. Former IRA prisoner Anthony McIntyre conducted the interview with Mr Hughes, a former senior IRA figure and estranged friend of Mr Adams. Wilson McArthur, who is from a loyalist background, interviewed the former UVF prisoner and leader of the Progressive Unionist Party David Ervine. More than 50 other republican and loyalist paramilitaries have also given detailed interviews to Boston College, again based on the academic guarantee that details would not be disclosed until after their deaths. Mr Moloney, who is now living in New York, deplored the attempt to compel the college to release details of the interviews. “I very much hope and expect that Boston College will resist this,” he said. “It is very important that there is the freedom to write and chronicle history while it is still possible to do so, and to get accounts from people who were directly involved. This is vital,” he added. “Part of the problem is that the conflict lasted so long. Unlike the Anglo-Irish War we can’t wait 20 years to interview people. If we don’t do this exercise now then we can forget it because a lot of the people will be dead,” said Mr Moloney. Researcher Anthony McIntyre, who had a number of disagreements with Mr Adams, said he suspected that the subpoena was motivated by a “British state agenda to embarrass Gerry Adams”. “The college must resist this with all the force it can muster,” he added. This move could have serious implications for similar history projects. “This is our worst-case scenario,” Mary Marshall Clark, the director of the oral history research office at Columbia University, New York told yesterday’s New York Times.